It all started with a passion to reach girls in the communities where CAST works. Londeka Choba joined the CAST team at the beginning of this year as a Poverty Relief Intern, with a deep desire to reach girls in the community. In the past, CAST’s Youth Development Programme has focused primarily on empowering boys in the communities where we work. As girls began to ask for their own programmes, CAST realised the need to accommodate girls in the community. First, Dale Nunes and Antony Mbugua organised a girls’ tennis team. Then, girls began to show up at basketball practice in KwaDabeka, asking to train with the guys. After several months of faithfully coming to train, the girls proved their commitment and dedication to the sport, and now CAST is looking for a female basketball coach to lead the girls. However, sports is only a part of Youth Development. CAST also realised there was huge need to create a forum for girls to talk about critical issues that impact them individually, their family, and the greater community. Londeka, along with Samke Mbatha (CAST’s Social Worker in KwaDabeka) saw this need and organised a pilot project for girls attending Sthokozile High School. The project uses material from Hope2Educate, which is a youth-led organisation based in Durban. Hope2Educate uses dialogues to engage different components of the community on social and economic development whilst addressing the challenges associated with HIV and AIDS. Currently the girls are writing exams, but this project will start soon when the school reopens after exams. Thirty-five girls have been interviewed and will participate in this project. 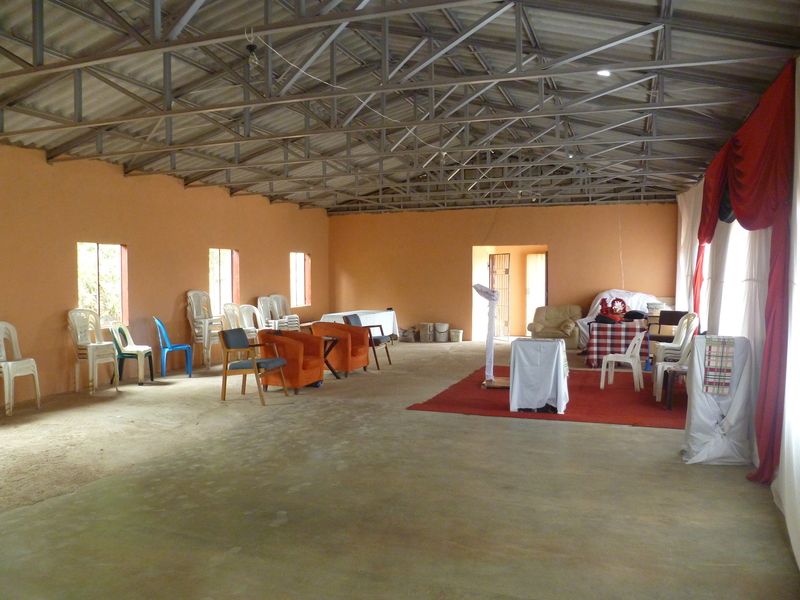 Please be in prayer for Londeka and Samke as they lead this brand new project for high school girls in KwaDabeka! If any of these opportunities interest you: girls’ tennis, girls’ basketball, or the Hope2Educate Programme, please make sure to contact Murry at murry@cast.org.za to find out more about volunteer opportunities. Originally from Appelsbosch, Mazisi (also known as ‘Ostrich’) is no stranger to the challenges that face his community, especially for the youth. 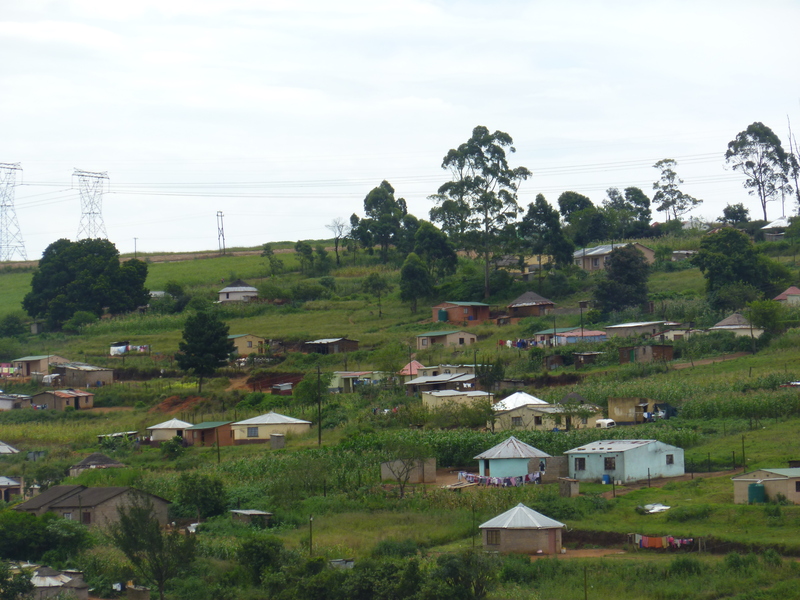 Appelsbosch is located in the Ilembe district, neighbouring the other partner CAST communities of Noodsberg and Chibini. High rates of teenage pregnancy, HIV/AIDS, and lack of activities and work opportunities keep the youth in this community from realising their potential. After attending school in Pietermaritzburg, Ostrich decided to move back to his home community to make a difference. Ostrich is a talented rugby athlete with extensive coaching experience. This year Ostrich joined the CAST Team, and he oversees CAST’s sports teams in the local communities of Appelsbosch, Chibini, and Noodsberg. Ostrich works from Appelsbosch Baptist Church. An impressive 90 percent of the congregation is made up of young people, ranging from 15-25 years old. Many of the church attendees are from the local college in Appelsbosch, a campus of Coastal KZN TVET College. When George, CAST’s Youth Development Manager, provided two buckets of paint for Appelsbosch Baptist, Ostrich was able to organise these young people to paint the church walls. Ostrich still faces many challenges in launching a formal Youth Development Programme in Appelsbosch. There are no fields in the area for sport, and Ostrich has struggled to get involved with youth in the schools. However, he remains optimistic and realizes there is a need to meet with community members to build trust – specifically parents of the youth. Please be in prayer for this exciting new opportunity to reach the youth of Appelsbosch! 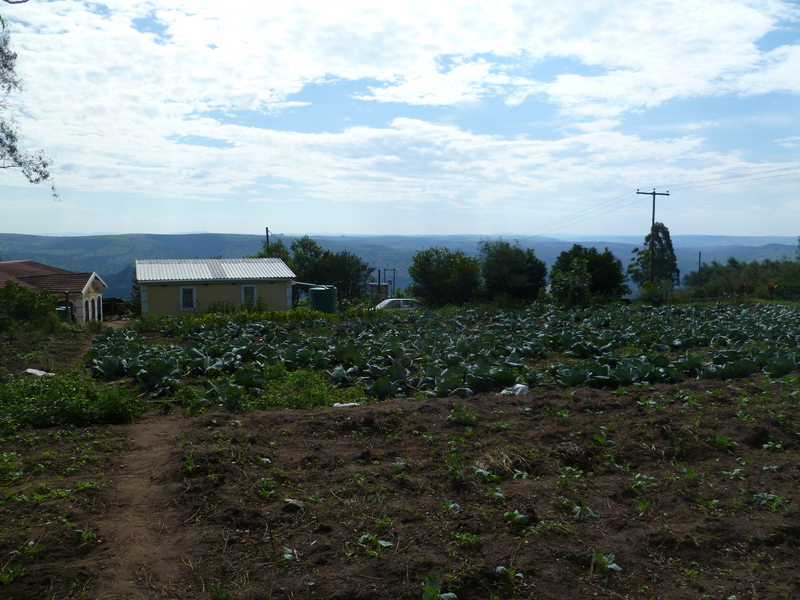 From the cabbage and mealies growing around the house, to the side room in the house used as a chicken coop, no space is wasted at Philani’s farm in Noodsberg. Even within his house, Philani’s love of farming is evident through his many copies of “Farmer’s Weekly” displayed in the living room. What started out as just an interest in growing green peppers in 2011, has grown to become an incredibly productive farm, including pigs, calves, chickens, and multiple crops. 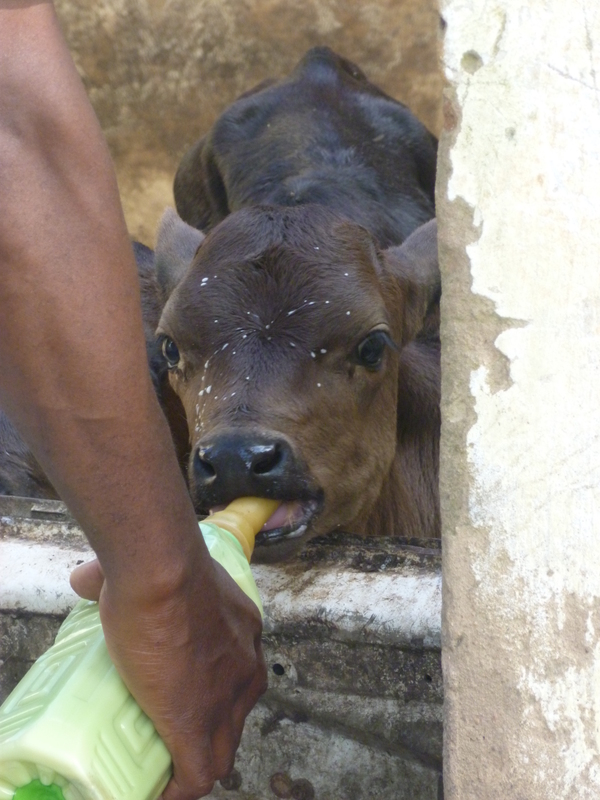 Philani wasn’t always a farmer. Originally a panel beater and mechanic, Philani’s compassionate heart for his community members in difficult circumstances kept him from making much of a profit. However, once Philani started farming, he found his passion. Philani credits his success to an extension government officer who taught him how to farm properly. 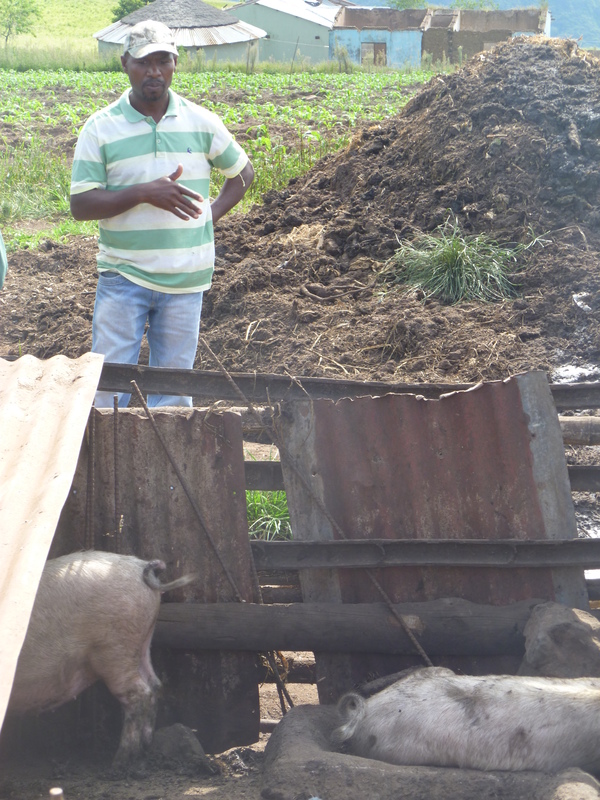 However, Philani’s own dedication to educating himself about farming practices has paid off over the years, especially when he began to raise pigs. As the pigs quickly grew in number, Philani finally found himself making an actual profit. So when CAST introduced the idea of Lions’ Den, where individuals from local communities could present their business plans to a panel of judges to be considered for a loan, Philani was interested. He found the application process to be easier than normal loans, however he was still nervous about presenting in front of the judges. 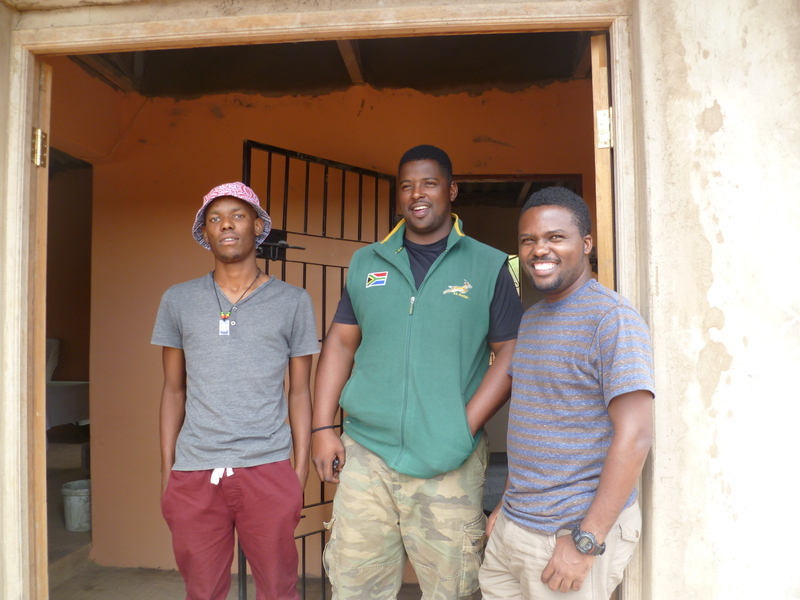 The first to present, Philani was well-informed about his area of expertise – pig farming. He carefully laid out his plan for growing his farm: phasing out his current non-commercial breed pigs, and buying 4 pregnant commercial breed sows. Every question the judges threw at Philani, he was able to answer with clarity because of his knowledge and experience. It was no surprise when Philani was chosen to receive the full loan amount of R20,000, except for Philani himself, who humbly did not expect to win. 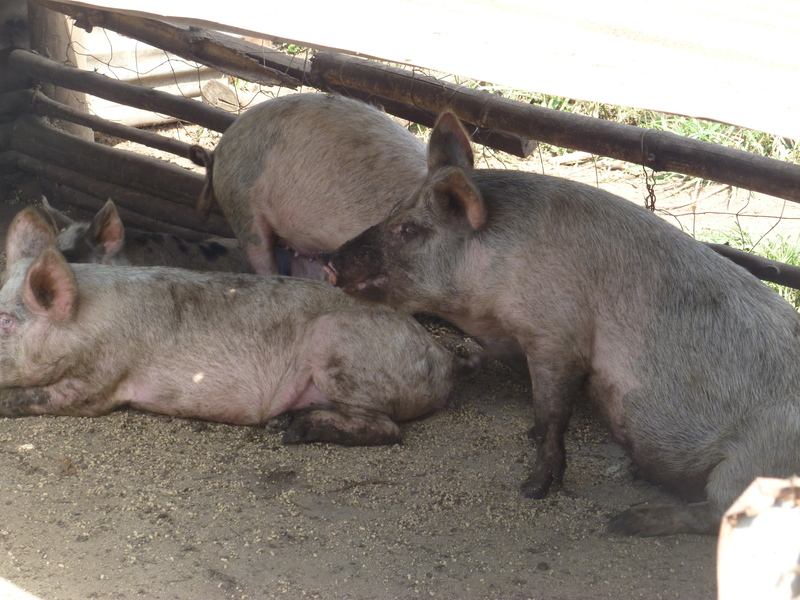 Philani looks forward to raising the new commercial breed pigs, as there is a higher demand for them. However, Philani’s focus is not only on making a profit. His heart for Noodsberg and the surrounding communities is obvious. 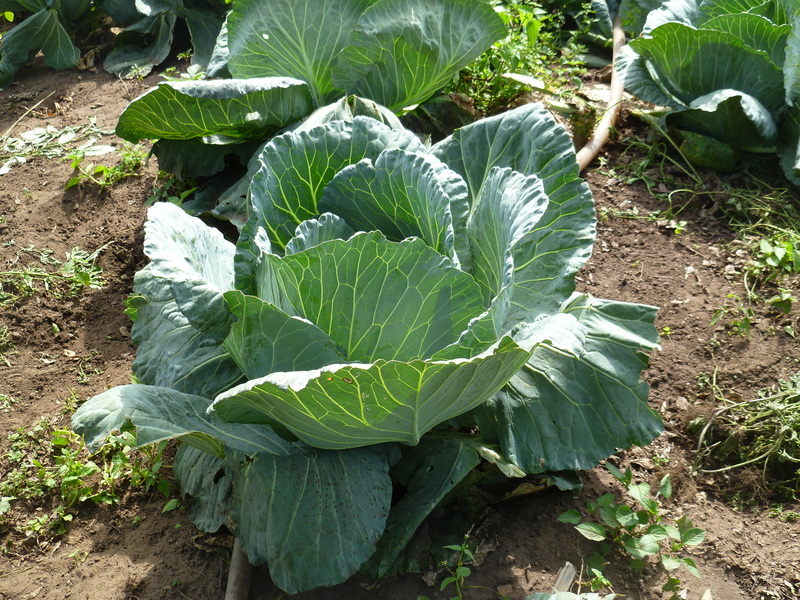 Philani regularly gives some of his cabbages to needy families, and provides shoes for some of the children in the community. Philani was one of several loan recipients that participated in Lions’ Den. Moving foward, CAST’s Business Development Department plans to match loan recipients with mentors who can assist them with their businesses. CAST believes that Lions’ Den is vital to the mission of CAST’s Business Development: to create opportunities for people to find employment, develop businesses and further their careers so as to earn a decent income and provide for their families. Our heart is to empower individuals like Philani to achieve their dreams and give back to the community. If mentoring one of the loan recipients sounds like something you’d be interested in, just email Lindelwe at lindelwe@cast.org.za for more information. If you’ve volunteered at Addington Primary School, you know how awesome and rewarding it can be to build relationships with these kids! Every year volunteers from Westville Baptist Church and CAST put together a weekend camp for some of the children at Addington. This opportunity allows the children some time away from their home environment to have fun, learn more about Jesus, and experience the undivided attention of caring adults. Many of the children are growing up in families that are battling to make ends meet – some kids are even refugees from other countries in Africa. These children are faced with the challenges of the Durban streets every day, even on their way to school. 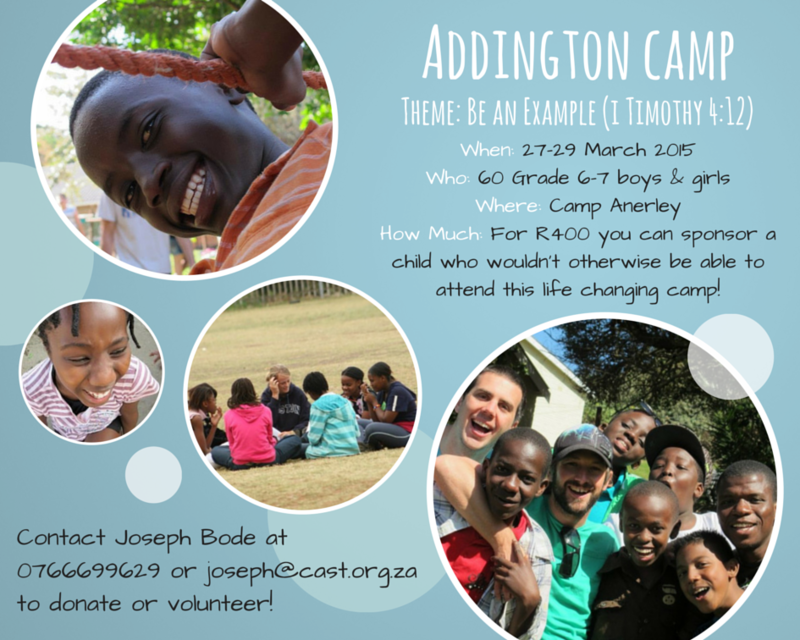 This year 60 boys and girls from Addington will be attending at Camp Anerley. The theme will be “Be an Example”, focusing on I Timothy 4:12. 1) Volunteer at camp during 27-29 March 2015! We need group leaders for the boys and girls. Giving just one weekend can make such a huge impact on the lives of these kids. 2) Sponsor a child to attend camp! Each child is expected to raise R150 on their own for camp. However, in reality it costs an additional R400 per child for a weekend away at camp. If volunteering at camp doesn’t fit into your schedule, donating towards a child’s camp fees is a great way to still contribute towards this life changing experience. Even smaller donations go a long way towards making sure these kids get a chance to attend camp! 3) Pray for the children and volunteers at camp during the weekend of 27-29 March. Every year, God works powerfully through Addington Camp to reach children who otherwise might not get a chance to hear the Gospel and experience the love of Jesus. Joseph Bode will be in the courtyard after the services at WBC during the next few Sundays if you are interested in volunteering or donating towards Addington Camp. You can contact him at joseph@cast.org.za if you have questions. If you want to give during the week, feel free to use EFT.